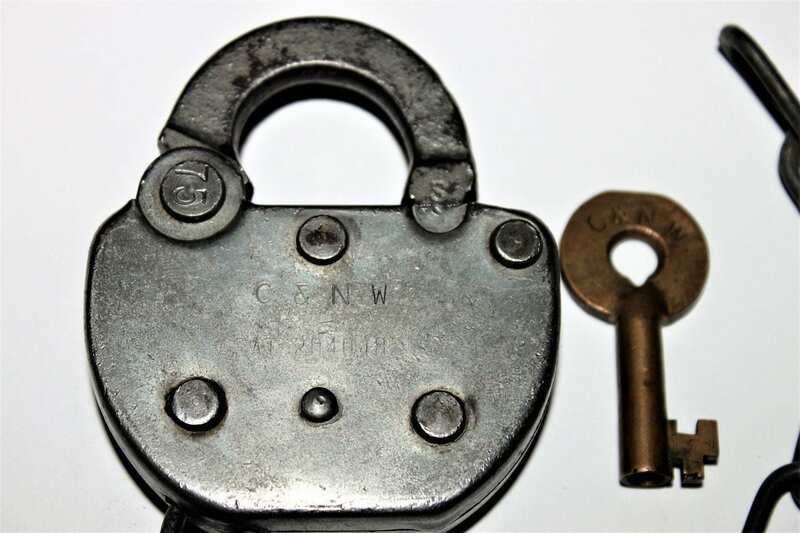 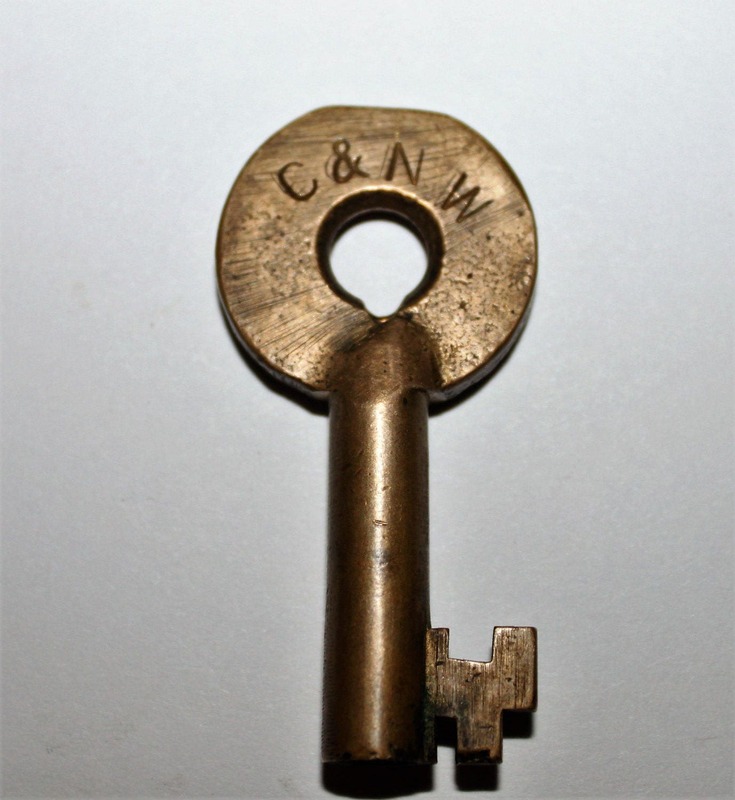 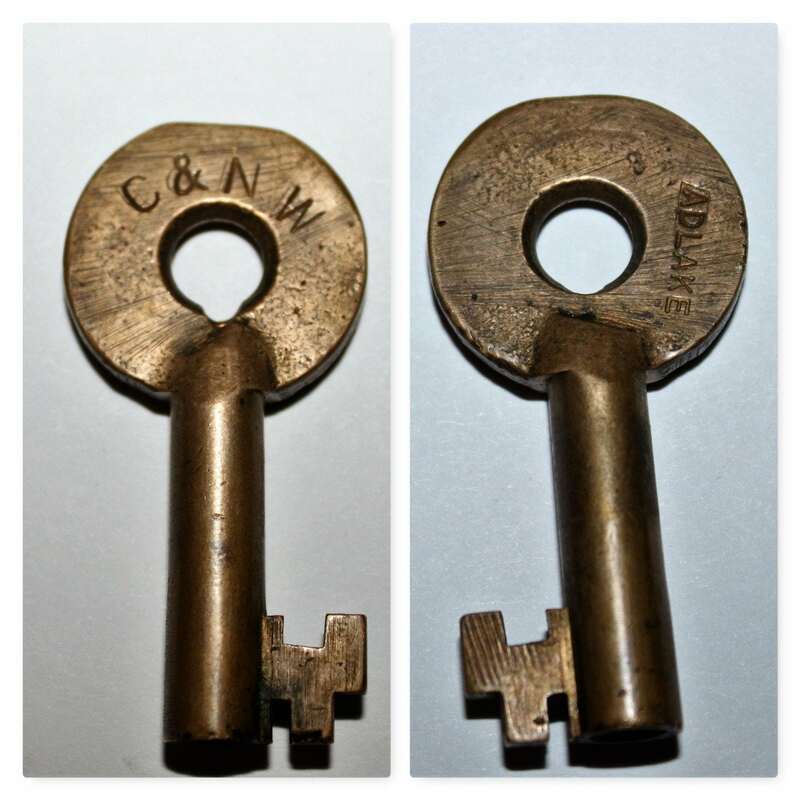 This is a great Chicago & North Western Railroad steel lock with Hollow Barrel Brass key. 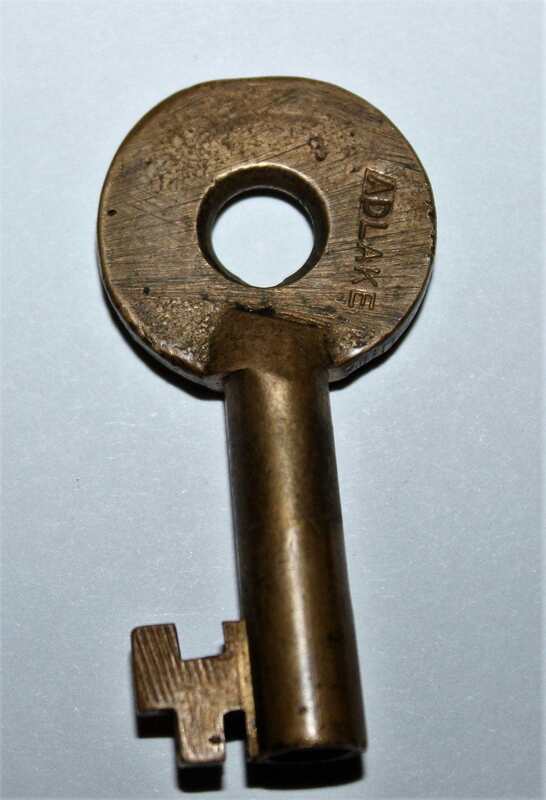 The lock is a steel Adlake with brass drop cover. 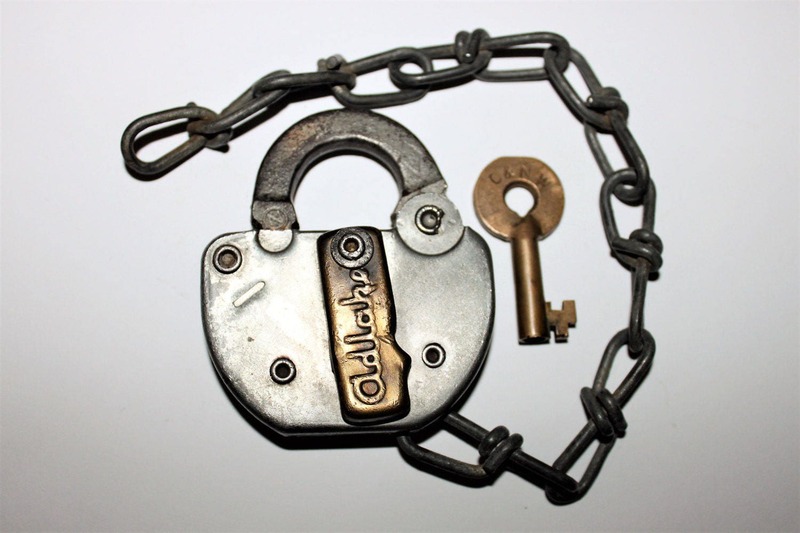 Condition; Very nice fully functional, Strong springs, some scuffs and scratches from use.